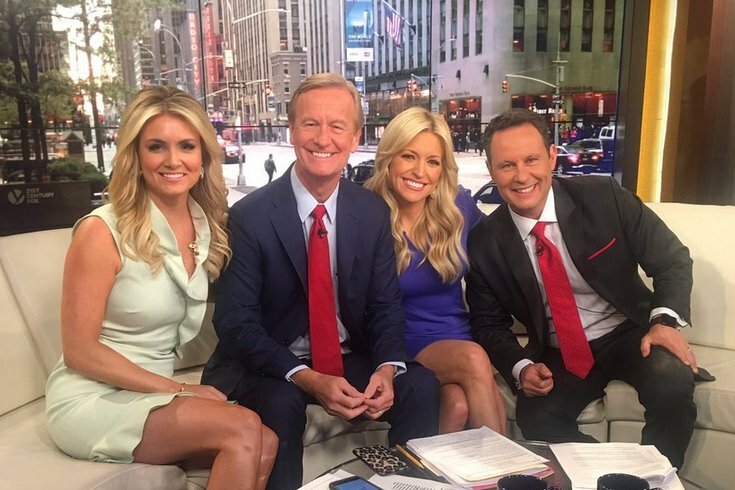 Former Comcast SportsNet host Jillian Mele, left, with the hosts of 'Fox & Friends' hosts. Mele made her debut on the cable news morning show Monday, May 15, 2017. You can still start your mornings with Jillian Mele on the tube. The former Comcast SportsNet host said on social media Monday she was making her debut on FOX News' "Fox & Friends" morning show with a segment featuring O'Neill's Market in her hometown of Glenside, Montgomery County. The show's social media posts indicated Mele is joining the show in a permanent position. It was previously unclear what role Mele would be taking with the conservative cable news station. The segment serves as a sort of introduction for Mele to the show's audience. In it, she takes a shift at O'Neill's — where she had her first job — goes to her parents’ house to look at baby photos and plays a few rounds of golf. Mele left SportsNet in March shortly after the show she was co-hosting, "Breakfast on Broad," was canceled. She joined the morning sports show in 2015, leaving her gig as a traffic reporter and occasional anchor on NBC10. After the cancellation, SportsNet said the show's hosts — Mele, Sarah Baicker, Barrett Brooks and Rob Ellis — would fill other roles at the station. But Mele left, as did Baicker, the face of the station's Flyers coverage, who took a job with the New Jersey Devils.